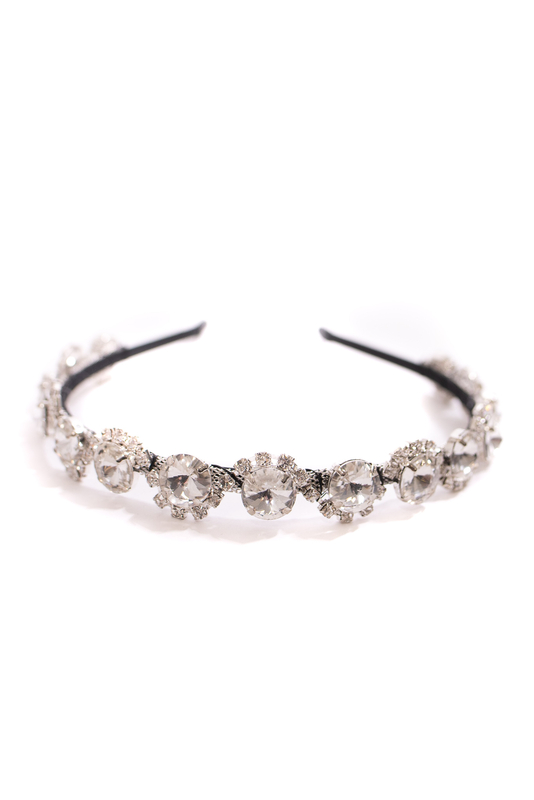 This Sienna Likes to Party Diamante headband is an extreme statement of glitter and shine. Various large diamante stones surrounded by smaller ones creating this art deco inspired piece. Each stone is attached to a black satin covered headband.